Agencies Smyle and Sustainable Events are joining to form a new Global Sustainable Events Summit partnership this autumn. 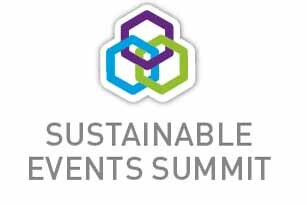 The Sustainable Events Summit transformation is supported and advised by Seventeen Events, who have organised Summits in London for the past three years. The new community will exist across live and digital platforms with the aim of supporting a community which inspires the continuous development of a global sustainable event industry. The online community will fully launch in mid-October 2012, and will include key announcements on the format, speakers and founding supporters of a live summit to be held in London in January 2013. Leading the new partnership are Sustainable Events managing director Fiona Pelham and Smyle managing director Rick Stainton. Pelham has been involved in chairing the international committee formulating ISO20121, the new sustainable events standard replacing BS8901, while Stainton was an early adopter of the BS8901 standard. Stainton said: "This project is the next phase in Smyle’s sustainability journey – we believe that the recent investment and resulting activities by many key brands made 2012 the year sustainability really leapt into the core of event concepts. These experiences across numerous event genres should be harnessed, shared and built upon. This community and its summit aims to inspire this step change across the events industry." Education content will be provided by not for profit Positive Impact, run by Fiona Pelham and will include practical training on how to implement ISO 20121. 25% of the profit from the summit will be donated to Positive Impact to enable the creation of further free sustainability educational resources for the industry. Seventeen Events managing director Andrew Williams said: "With the 2012 Games now moving from planning to legacy, there has never been a better time to embrace the sustainable agenda within the events industry. The world will be looking to the UK to provide leadership, vision and inspiration, and I believe this new community is a unique chance to share best practice and learn from the best." Meanwhile, Pelham added: "Sustainability is integral to the success of a business. The event will not only demonstrate the business case but also provide solutions and a network to enable the UK event industry to show global leadership in sustainability."